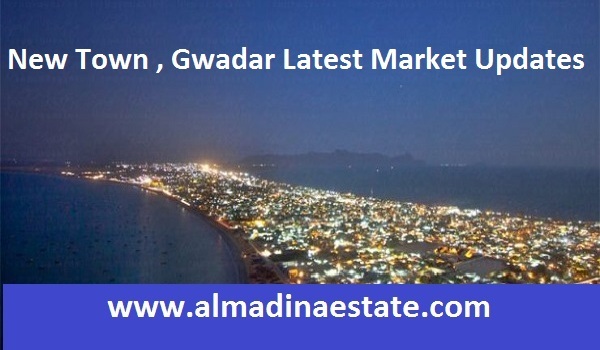 New Town is one of Gwadar’s top housing projects both in its popularity, levels of developments, and fantastic location. it falls only behind the aggregate of housing societies on Makran Coastal Highway (mainly Naval Anchorage, and Gwadar Golf City), and Sangar Housing Society. It is interesting to note how the three projects remained equally popular until January 2018, when Gwadar Golf City was added to the list of Makran Coastal Highway projects. That’s when the added weight of Gwadar Golf City made Makran Coastal Highway more popular than Sangar Housing and New Town. It is also one of the most developed housing schemes in the city. Phase I, in particular, is highly developed. water, electricity, and sewerage utilities are available in the project partially. New Town, for example, faces the same kind of issues as the rest of Gwadar when it comes to water. Water availability can be an issue because water is not available through government services when the water level in local dams is low. Then, it needs to be bought privately. Main Boulevard has been completed throughout several phases. All of the work is, however, incomplete and will take its due time. Development in Phase I also means that possession is available there and a large number of houses have been constructed in the phase as a result, Possession is available in other phases where access is available. 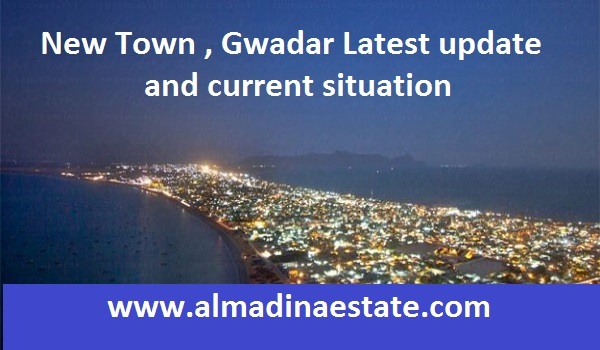 New Town is a society located within Old Town within the main Gwadar city. Some of the most important roads of the city, Jinnah Avenue and Airport Road, run right through it while Marine Drive, Padizar Avenue, and Pushkan Avenue are also located nearby. The market, which was slow until a month ago, has now picked up pace again. Investors are taking interest again and as the situation becomes clearer. In our last update on New Town in December 2017, the location of Phase V had not been clear. Now it has been revealed. It is going to be located in Mouza Ankara Janoobi right behind Golden Palm City. The map, however, has not yet been released, and there hasn’t been any official announcement on the subject. the expectation in the market is that it will be released around October-November 2018. In the long term, considering the location of New Town, high returns can be expected without a doubt. The prices are considerably lower at the moment, which means that investment right now can be considered. The prices are also expected to increase, even in the short term, because the political uncertainty has ended. Investors were really cautious during the elections but now they are taking interest again. As the policy of the new government becomes clearer and the investor feels more secure, they will return to Gwadar and prices will shoot upwards.